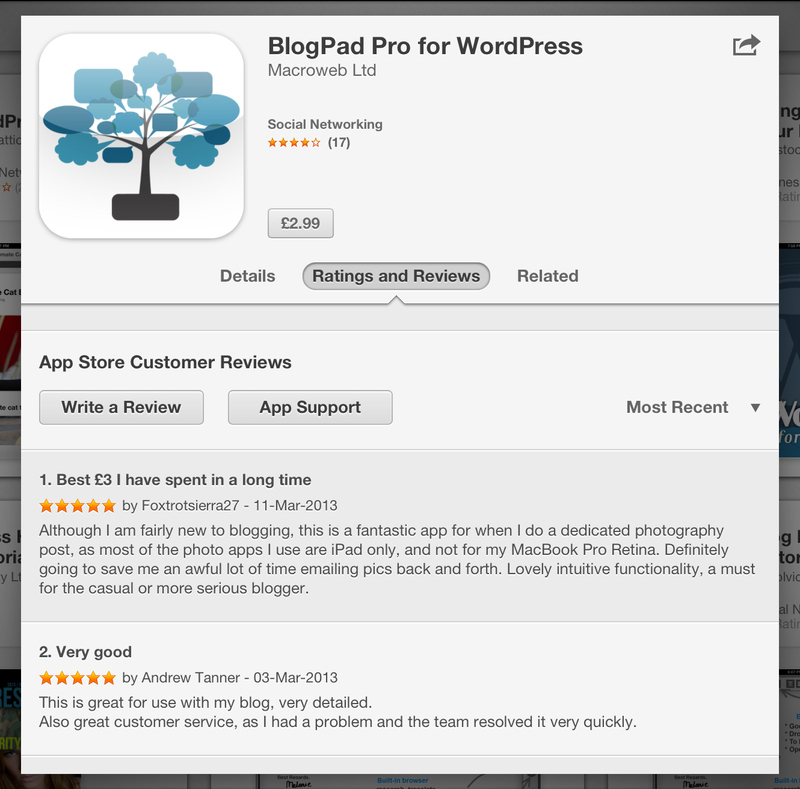 We’re looking for bloggers to review BlogPad Pro, if you would like a chance to review it, let us know! If you already have the app let us know what you think in the comments below! I’m a fairly heavy user of wordpress.com & self-hosted wordpress sites, & I’ve finally found an app which means I manage all my blogs easily from my iPad. I often write blogs on the train & the amount of times i have lost work due to being not be able to work offline on a wordpress app. this app solves this problem, especially when it’s so easy to update my live blogs when I get back online again! Great app! Simple to use, & no prior knowledge of HTML is needed to be able to blog from your iPad. Thank you for making this, I’d award 6 stars if I could. Brilliant app and a bargain.